Respite care: Along with access to our third party providers including home care, hospice services, respite care resident's will have spacious, light-filled rooms, three meals a day in our restaurant-style dining area and will enjoy all of Autumn Hills Alzheimer's Special Care Center's features, amenities and entertainment options. 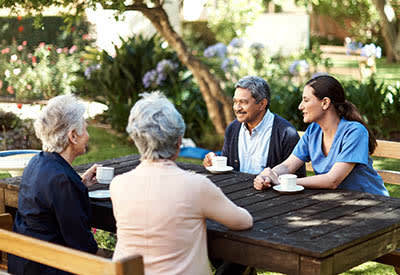 Memory care: Our staff is trained in our exclusive Meaningful Moments® philosophy. This program helps residents with Alzheimer's feel more connected and brings meaning to each day. In addition to the senior services, Autumn Hills Alzheimer's Special Care Center offers transportation to daily excursions, a whole host of entertainment options like movie nights and fitness classes and the ability to do away with the daily demands of cooking, cleaning, and yard work. Call Autumn Hills Alzheimer's Special Care Center today and schedule a guided tour and free lunch for you and your family member!